One of the most popular summertime hobbies for our local residents here in Columbus, GA is cycling. After all, this hobby is not only a ton of fun, it has great health benefits. There are thousands of riders all over the state who enjoy mountain biking, road biking or just leisurely cruising around the city. Since there are so many bicycle enthusiasts across our state, we feel it’s important to have a discussion about cycling safety. Because even though it’s a fun hobby, it can be very dangerous if you aren’t careful and don’t take the proper precautions. 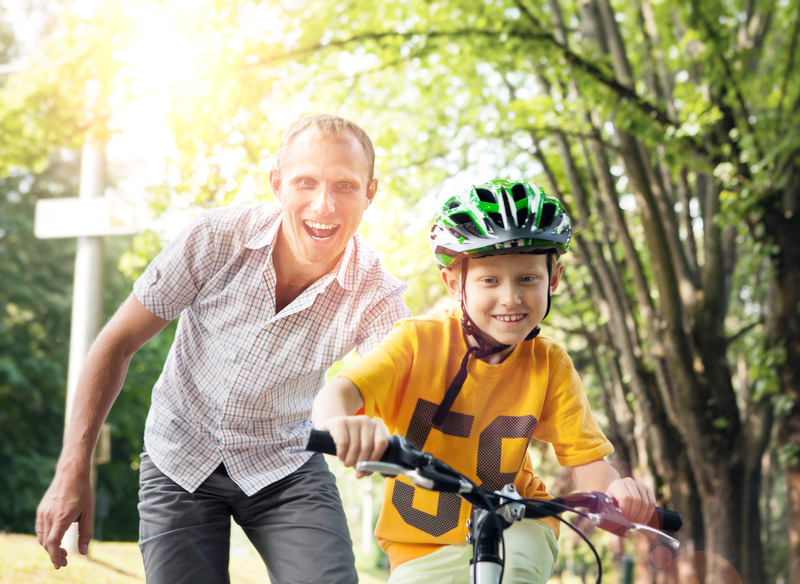 Therefore, we are going to be talking about some important bicycle safety tips to keep in mind in this article, continue reading to learn more. This tip seems like it should be common sense, unfortunately, it isn’t. The vast majority of bicycle riders across the country never wear a helmet, which is a huge mistake. Wearing a helmet can literally save your life if you are involved in an accident. It doesn’t matter if you are mountain biking, road biking or just leisurely riding around town, you always need to wear a helmet. Also, be sure to replace your helmet if it becomes cracked or damaged. Your helmet will not protect you properly after it has been cracked or damaged. You will drastically minimize your risk of getting into an accident if you stay visible at all times. This is important whether you are around cars or other bikes on the mountain bike trails. We recommend wearing bright reflective clothing (never dark colors), and putting reflectors and lights on your bike. This tip is especially important at night when it’s more difficult to see. If cars and other cyclists can see you clearly they are far less likely to hit you. Whether you are riding in the city or on a trail, it’s always important to stay alert. If you are not paying attention you are much more likely to get into an accident while you are riding. Just because you are on a bike does not mean that you can disobey the traffic laws and lights. You need to follow all of these laws in order to stay safe and avoid an accident. All of us here at Gil’s Auto Sales hope that you have fun and stay safe while cycling this summer season! View our Used Vehicle Inventory! This entry was posted on Monday, June 20th, 2016 at 10:36 am	and is filed under Safety. You can follow any responses to this entry through the RSS 2.0 feed. You can skip to the end and leave a response. Pinging is currently not allowed.